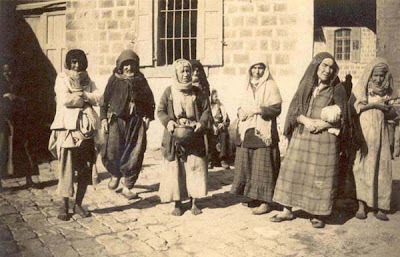 "Poor Jewish women leaving the hospital after the feast which was given them"
In our virtual expedition into the medical archives of the Scottish University of Dundee we continue to explore pictures of life in Tiberias, the location of the Scots Mission Hospital established in the 1880s. 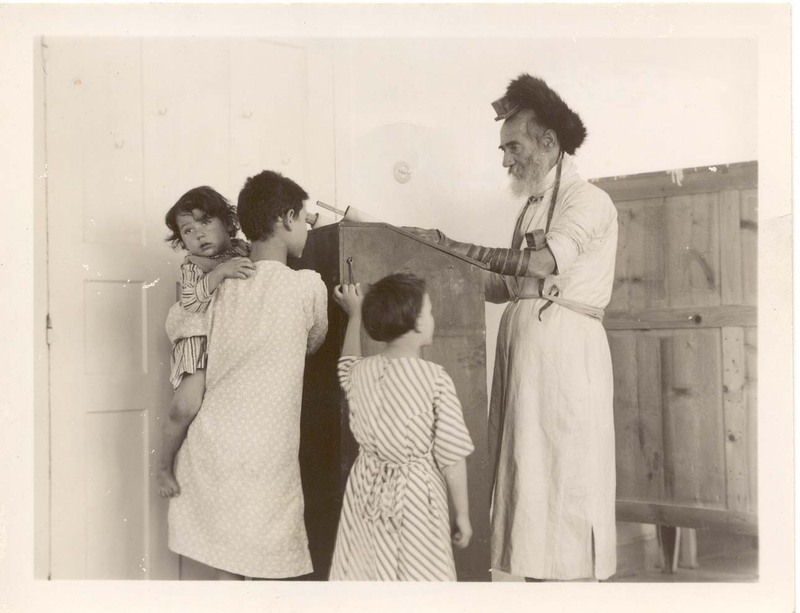 Amidst the pictures of medical cases photographed by Doctors David Watt Torrance and his son Herbert, the hospital's directors, are pictures of the Jews and Arabs of Tiberias. 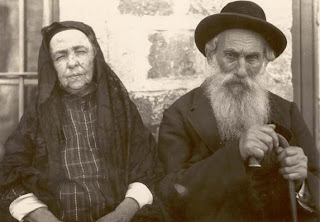 View an 1886 picture of patients here. All the pictures presented are from the Torrance collection. David Torrance arrived in a very poor, economic backwater town in the 1880s. Under Ottoman rule, Tiberias had little in the way of employment opportunities or basic hygienic infrastructure. 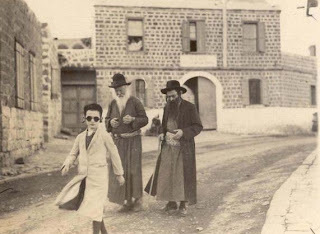 Tiberias was nonetheless a center of Jewish life over the centuries, particularly after the destruction of Jerusalem at the hands of the Romans. It emerged as one of Judaism's holy cities after Jerusalem, Hebron and Safed. 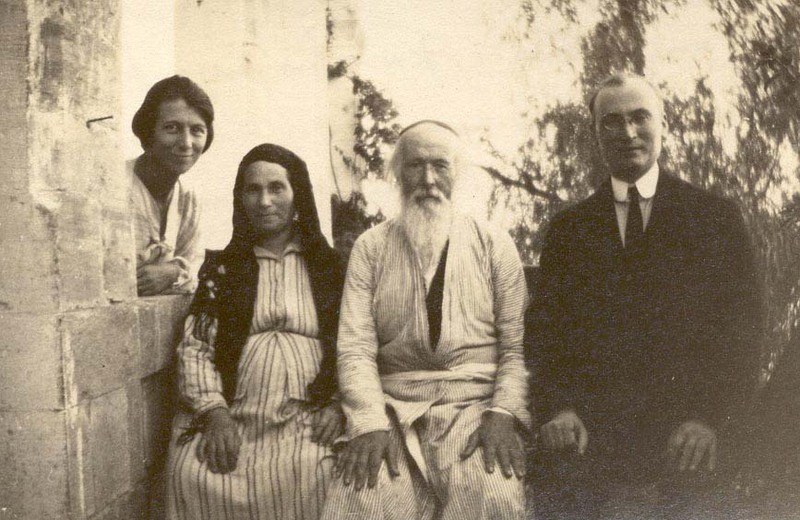 Rabbis of the Talmud and Maimonides are buried in Tiberias. And over the last few centuries pious Jewish families and scholars made it their home. 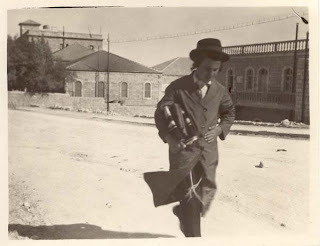 "Orthodox boy on the way to synagogue with talit"
Note from Israel Daily Picture's publisher: Some Jewish readers may object to our publishing photos from the Scots Mission because of its proselytizing activity. We do not get into religious issues. 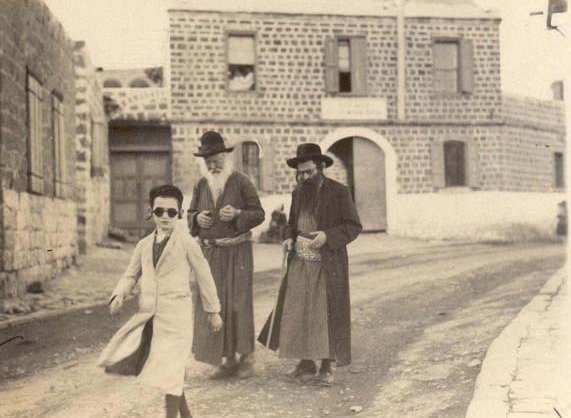 We are thankful for the photographs of Palestine taken by Christian photographers, pictures that establish without any doubt many aspects of Jewish life in the Holy Land 150 years ago. 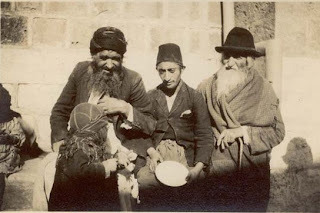 Indeed, we suspect that some of their pictures have not been given the attention warranted precisely because Jewish scholars may have chosen to avoid the works of these photographers or because Middle East scholars chose to overlook pictures of Jewish inhabitants of Palestine.